In 2012, the automotive supplier Brose expanded its business volume by 11 percent to 4.5 billion euros. This figure was presented by Jürgen Otto, CEO of the Brose Group, at the shareholder and Advisory Board meeting at the company's founding location in Berlin on May 25, 2013. The family-owned company benefitted particularly from the strong demand for premium vehicles in North America and China, which compensated for slow sales in Europe. Brose saw the biggest growth in its business division seat systems (Coburg): sales increased by 20 percent, passing the 1 billion-euro mark for the first time. Global, cross-model seat platforms account for more than 50 percent of the business. Thanks to its international presence, the company is well positioned in this context. Sales revenues from door systems business (Hallstadt) rose by 9 percent to 2.4 billion euros. In 2012, Brose further expanded its global leading position in this area achieving a market share of 33 percent. 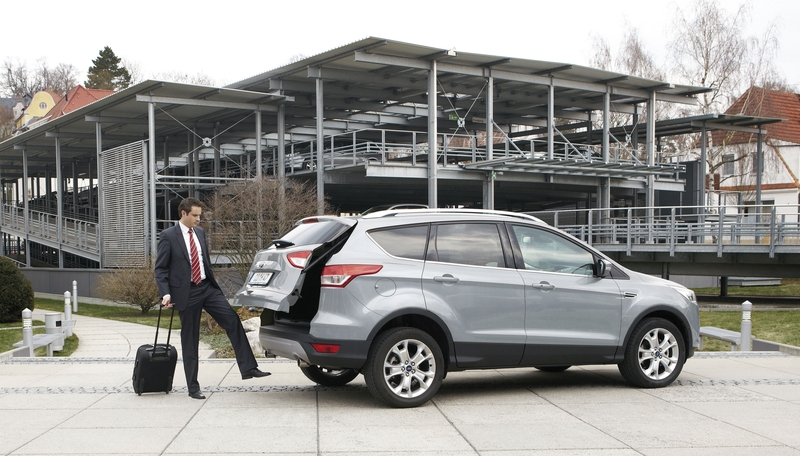 Its hands-free liftgate drive attracted considerable customer and media interest. In addition to BMW's "Supplier Innovation Award" in the category "highest customer benefit", the drive also won the "Pace Award" of North America's automotive industry. This comfort product will be fitted in 14 different vehicle models of Ford, Mercedes-Benz and BMW by the end of this year. The motor business (Würzburg) saw an increase in sales by an average of 14 percent to 1.02 billion euros. The drives division benefitted, among other things, from the trend towards ancillary component electrification, which substantially cuts CO2 emissions. Examples are the electro-mechanical steering and electro-mechanical dual-clutch transmissions. Highest profit-sharing bonus in the company's history. Brose's shareholders and Advisory Board also decided during their meeting in Berlin to let all employees share in the company's success. The company will spend more than 26 million euros on bonus payments; the highest amount ever paid out to employees in the company's history. "The increased output last year was only possible thanks to the commitment of our employees," said Michael Stoschek, Chairman of the Brose Group. "We therefore decided to let all employees share in this success. In line with our social responsibility, temporary staff will also be included on an equal footing as in previous years." In 2012, the family-owned company invested around 260 million euros in the expansion of existing and new plants and production facilities: Brose opened new plants in Chongqing and Beijing (China) as well as in Querétaro (Mexico) and acquired a new production site in New Boston/Detroit (USA). "As a result of these investments, we have created the conditions we need to ensure we have sufficient production area to meet the expected growth in North America and Asia until 2016," said Jürgen Otto. The CEO of the Brose Group continued saying, "To safeguard our independence and flexibility as a family-owned company, we aim to achieve controlled, profitable and self-financed growth." amounted to more than 7 percent of sales in 2012. Brose's suppliers in Germany and abroad. The company is a major economic factor, buying materials, services and capital goods worldwide worth almost 3.2 billion euros each year. In terms of sales, Brose is the 43rd biggest automotive supplier worldwide and the sixth-largest family-owned company in Bavaria. The surrounding area of Brose's Franconian sites in Coburg, Hallstadt and Würzburg benefits from the positive development. By the end of 2012, the company employed some 6,300 people from 43 nations, including approx. 260 apprentices, in the region. In addition to its own staff, about 3,100 people work for Brose's suppliers in Franconia. The purchasing power of all direct and indirect employees' net pay amounted to 255 million euros. Brose purchased materials and services worth 274 million euros from regional companies last year. For 2013, the Brose Group is anticipating moderate growth of 3 percent to 4.6 billion euros. The Management Board expects the regions to develop at different rates: while demand in Europe will continue to decline with the market unlikely to recover before 2014, continued strong growth is reckoned with in North America and Asia. At their meeting, the shareholders agreed on a budget of 350 million euros in total for investments (+13 percent compared to 2012), some 50 percent of which will be used to strengthen the Franconian sites in Bamberg, Würzburg and Coburg. If economic activity continues and demand remains stable, the Management Board expects Brose to achieve a business volume of 5 billion euros by 2015.